I love autumn and all the comforting kitchen aromas that accompany it. In particular, I like pumpkin pie. And since this is not Blissful Pies, I've recreated this warm & nurturing favorite as a brownie. 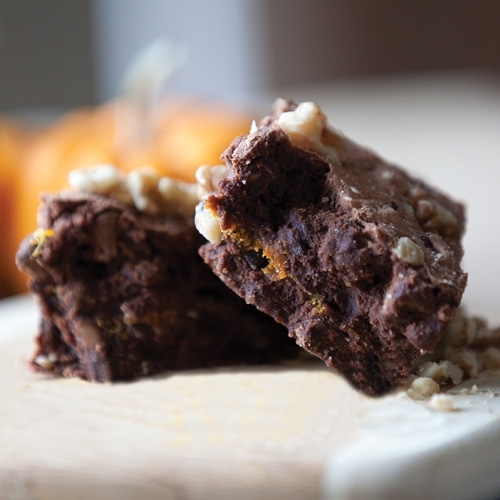 Rich chocolate combined with pumpkin, cinnamon, and topped with walnuts is surprisingly delicious.